Ketosis is the metabolic state when blood ketone levels reach a certain level (around 0.5 mmol/L). People will typically enter ketosis when they restrict carbohydrates (i.e., by following the ketogenic diet) or eat little to no calories (i.e., fasting for multiple days). In general, the body will not enter ketosis as long as there are enough carbs available from the diet or stored glycogen (the storage form of sugar) to provide the cells with energy. As long as sugar is available (and you don’t consume exogenous ketones or medium chain triglycerides), your body will do just fine using glucose as its primary fuel source. In fact, many people will go throughout life without ever entering ketosis while maintaining optimal health. If it is true that ketosis isn’t necessary for optimal health, then this raises a couple of questions: What’s the purpose of ketosis? And wouldn’t we do just fine by burning fat and sugar for fuel? To get a better idea of why we have the ability to burn ketones for fuel, let’s approach these questions from two perspectives — health and evolution. From a health perspective, ketones have been found to have many unique properties that sugar can not emulate. For starters, ketones burn much more efficiently than sugar, providing us with a more efficient source of energy while forming less reactive oxygen species. Ketones also increase mitochondrial efficiency and production, which improves the ability of ketone burning cells to produce energy and resist aging. Studies have also found ketones to be a neuroprotective antioxidant that can help reverse and prevent brain damage while triggering the proliferation of new brain cells and new connections between existing brain cells. As a result of burning ketones, the brain also experiences a shift in the balance between two neurotransmitters called GABA and Glutamate. In other words, ketones help prevent excessive neuronal activity that can cause uncontrollable behaviors that are common in neurological disorders like epilepsy, autism, and Parkinson’s disease. Although this section doesn’t reflect everything that ketosis can do for the body, this is what research has found so far. (What I haven’t mentioned is that ketones and ketosis have also been shown to be useful in the treatment of certain types of cancer and Alzheimer’s disease.) For more information on ketones and their benefits, click here. If you’d like to dig deeper into the benefits of the ketogenic diet, check out this article. When we consider the evidence altogether, it is obvious as to why the body would prefer to burn ketones for fuel. However, this is not the legitimate reason why we evolved the ability to get into ketosis. Now that we know what ketones can do to help the body, let’s figure out why our bodies even have the ability to enter ketosis. From an evolutionary perspective, ketones are an absolutely necessary fuel alternative. The human species evolved to handle a much more unpredictable food environment then we have access to today. The survival of our ancestors depended on their ability to hunt and forage for food all year around. Sometimes, they would go for days to weeks without food when plants and animals were scarce. To prepare for the inevitability of food scarcity, animals evolved the ability to use and store different fuel sources. Stored glycogen, for example, allowed them to last for a good chunk of the day without the need for food, while stored fat provided a more sustained source of fuel for more extended periods of time. To provide the brain with the energy it needs during periods of starvation, the liver will convert non-sugar substrates — like amino acids from protein — into sugar via a process called gluconeogenesis (more on this later). 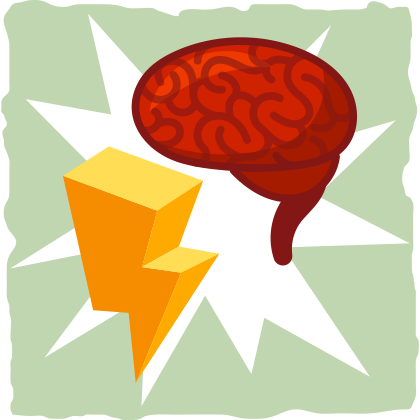 As a result of gluconeogenesis, the brain can function, but there is one downside — muscle loss. According to Dr. Chris Masterjohn, we would need to convert up to 2.2 pounds of lean muscle mass into sugar every day just to meet our brain’s energy needs during times of fasting. At this rate, the body would burn through muscle so quickly that it wouldn’t have any strength left to find food. Luckily, our ancestors didn’t have to experience this torturous process of withering away. So, how did they keep themselves from losing excessive amounts of muscle? By entering ketosis (you probably saw that coming from a mile away). Long story short — from an evolutionary perspective, we evolved the ability to burn ketones for fuel as a means to preserve muscle mass and fuel the brain during times of food scarcity. Without ketosis, the body would be forced to use gluconeogenesis to fuel the brain exclusively, burning through muscle mass until we could not function any longer. Gluconeogenesis is one of the processes that the liver uses to keep blood sugar levels constant. The regulation of gluconeogenesis depends on two peptide hormones — glucagon and insulin. In response to an insulin-stimulating meal (e.g., sugary cereal), the pancreas secretes insulin, which encourages cells throughout the body to take up the sugar and burn it. When insulin enters the liver and acts on the liver cells, it inhibits gluconeogenesis and stimulates glycogen storage. After the cells throughout the body burn the sugar, blood sugar and insulin levels drop, which stimulates glucagon release from the pancreas. As a result of increasing glucagon levels, the liver starts breaking down stored glycogen and promoting gluconeogenesis to provide the cells with sugar, while the fat cells begin releasing fatty acids into the blood. Once the liver cells don’t have adequate energy continue the expensive process of gluconeogenesis, it will start converting fatty acids and ketogenic amino acids into ketones for fuel, sending the body into ketosis. When exactly will the liver start ramping up ketone production? It depends on the person. In general, people tend to experience higher levels of gluconeogenesis without entering ketosis for between 1 to 9 days after glycogen depletion. Usually, the people who have never fasted before, rarely exercise, and/or eat carbs with every meal will take longer increase ketone production and decrease their reliance on gluconeogenesis. Men also tend to take longer to enter ketosis. Either way, as long as carbohydrates are restricted for between 2 to 10 days, the liver eventually start to rely on a metabolic process called ketogenesis to produce more ketones for energy and take us into ketosis. Earlier we defined ketosis as the metabolic state that occurs when blood ketones levels reach a certain point. This metabolic state is brought on by a biochemical process called ketogenesis. Ketogenesis is carried out mainly in the mitochondria of liver cells and is continuously occurring to a minimal degree to provide the heart and renal cortex (the part of the kidney where ultrafiltration occurs) with ketones for energy. During the process of ketogenesis, fatty acids and ketogenic amino acids like lysine and leucine are converted into the ketone body acetoacetate. Acetoacetate is then converted into either beta-hydroxybutyrate (BHB) or acetone. As your cells adapt to carbohydrate restriction, BHB becomes the most prevalent ketone body and your brain and muscle cells start using it as their primary fuel. In fact, when you are keto-adapted (after weeks of being in ketosis), you will reach such deep levels of ketosis that ketones will supply up to 50% of your basal energy requirements and 70% of your brain’s energy needs. This allows your body to preserve muscle mass and fuel the brain while you get the benefits of burning ketones for fuel. As a result of keto-adaptation, more mitochondria are formed in ketone burning cells, and the existing mitochondria in those cells become more efficient by upregulating enzymes that help with ketone metabolism. These changes also make it easier the body to get back into ketosis after carbohydrate refeeding. Although the quickest way to increase the activity of ketogenesis and become keto-adapted is by fasting and doing intense exercise, this isn’t the healthiest way to maintain ketosis for longer periods of time. To reap all the benefits of keto-adaptation without impairing your health and physical function, it is best to follow the ketogenic diet. The ketogenic diet simulates many of the metabolic processes that our body undergoes in response to fasting. The reason why the ketogenic diet is so effective at stimulating ketosis is that it restricts carbohydrates. By limiting carb consumption, blood sugar and insulin levels drop, glucagon levels rise, and the body is forced to burn through glycogen and increase the production of gluconeogenesis. Although the protein that is consumed on the ketogenic diet can increase insulin levels, help spare glycogen, and fuel gluconeogenesis, it is typically not eaten in high enough quantities to keep you from ketosis. However, since you’ll still be consuming fat and protein on the ketogenic diet, you may not get into ketosis as quickly as you would by simply fasting. Does this mean that you should limit protein intake on the ketogenic diet? No, not at all. Protein is essential for preserving muscle mass and maintaining physical performance, especially on the ketogenic diet. Studies have found that keto dieters that consumed less than 1.2 grams of protein per kilogram of body weight per day experienced progressive loss of lean muscle tissue and physical performance. On the other hand, when keto dieters consumed around 1.5 grams of protein per kilogram of body weight per day, they were able to maintain muscle mass and physical function. At the other end of the spectrum, however, higher protein intakes have the potential to suppress of ketogenesis, resulting in lower levels of ketosis. The existing evidence suggests that it is best to eat between 15% and 25% of your daily calories from protein if you want to enter deeper levels of ketosis while maintaining muscle mass and physical performance. If you are lifting weights or do high-intensity exercise regularly, then you will be able to sustain higher levels of ketosis with a slightly higher protein intake. 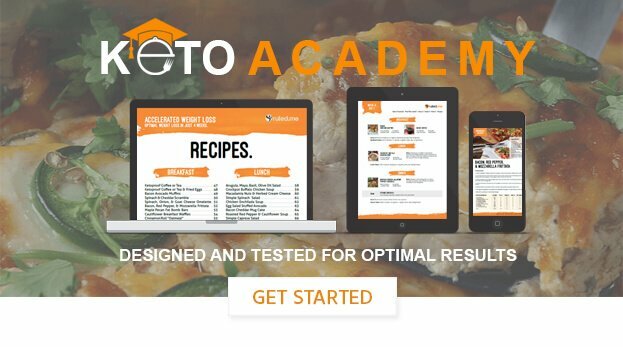 To find out exactly how much protein, fat, and carbs to eat to get into ketosis, plug your relevant info into our keto calculator. Ketosis is a unique metabolic state that is reached when blood ketone levels reach a certain level. The state of ketosis is achieved when the liver upregulates the process of ketogenesis to form ketone bodies from fatty acids and ketogenic amino acids. Ketogenesis evolved as a way for specific animals to maintain muscle mass while providing their hungry brains with energy during times of food scarcity. Humans are especially good at burning ketones for fuel and can experience many health benefits as a result. However, the body must go through a couple of metabolic processes before it can increase its ketone levels and become keto-adapted. During this phase, insulin levels decrease, and glucagon levels increase. Glucagon lets the liver know that we need more blood sugar. As a result, the liver breaks down stored glycogen and increases gluconeogenesis. During this phase, glycogen is fully depleted, and gluconeogenesis takes over to provide the body with energy. At this point, the liver may start to produce acetoacetate, which can spontaneously turn into acetone. This can cause the person to have breath that smells similar to nail polish or paint thinner. The window of time for this phase is so broad (two to ten days) because its length depends on who is fasting. For example, healthy males and obese, sedentary individuals tend to stay in the gluconeogenic phase for more extended periods of time than healthy women. After a couple of weeks, the body will be in a deeper level of ketosis, and the ketone-burning cells will be fully adapted to their new fuel source. Glucose requirements will decrease to the point where ketones can provide up to 50% of the body’s energy needs. There you have it — the four stages that everyone goes through during carbohydrate restriction. Whether you are fasting from carbohydrates (the ketogenic diet) or fasting from all food, you will go through these stages. Unfortunately, there is a great deal of variability between every individual regarding how quickly they move through these stages. Luckily, your body will let you know if you are on the right track to ketosis with some specific signs and symptoms. In technical terms, you are in ketosis if your blood ketone levels are at or above 0.5 mmol/L. However, there is no need to prick your finger to find out if you are in ketosis. Bad Breath. Acetone is a ketone body that partially excretes in our breath. It can smell sharp like overripe fruit, similar to nail polish remover. It’s usually temporary and goes away after a week or so. If you experience all of these symptoms, then you are almost certainly in ketosis. If you experience one or two of these symptoms like increased urination or bad breath, then you may not be in ketosis yet, but you are definitely on the right track. On the other hand, if you would like to know your precise ketone levels, you will have to draw some blood and use a blood ketone meter like the Precision Xtra. The meter itself costs around $30, and each ketone test strip costs about $4. This means that if you are looking to test your blood ketone levels every day, it is going to cost you $120 a month plus the ~$30 blood ketone meter. Most people will be in a light ketosis within two or three days from ketogenic diet alone. It typically takes two to three weeks to get into a deep ketosis. Deep ketosis is ideal for weight loss and may confer some neurological benefits that extend beyond the benefits you’ll get while you are in light or medium ketosis. However, there is no need to drive yourself crazy with ketone measurements. Your success will not be determined by getting the most accurate ketone readings. What matters most is following the ketogenic diet correctly by eating the right foods in the right macronutrient ratios. By doing this, you will be able to reap the benefits of ketosis. Although the ketogenic diet in itself has a plethora of benefits (that you can read about here), for the purposes of this article let’s explore what ketosis does for the body on its own. These are the known effects that ketosis can have throughout the body. Researchers are still discovering more and more about ketones and what they do to our cells. Our current base of knowledge on the topic, however, provides us with plenty of evidence supporting the therapeutic benefits of ketosis for a wide range of people with various conditions. Who is Ketosis Best For? When we consider the effects of ketosis, it is clear that it would help neurological conditions the most. By providing the brain with ketones, we can decrease inflammation and neuronal damage, improve brain cell growth and function, and regulate the brain’s neurotransmitters — all of which can help improve the quality of life for people with various neurological issues. The current research on diseases like Alzheimer’s and Parkinson’s, behavioral disorders like Autism, and the initial research on epilepsy suggest that this contention is correct. However, people with neurological conditions are not the only people that can be helped by ketosis. Common issues like cancer, diabetes, obesity, and non-alcoholic fatty liver disease can all be helped by burning ketosis for fuel (in a healthy way). This is because ketones can help lower blood sugar levels and reduce appetite, which prevents us from eating too many calories and too much sugar — the two primary factors that feed conditions like diabetes, obesity, and non-alcoholic fatty liver disease. Many healthy individuals can benefit from ketosis as well. Just by cutting out the carbs and following the ketogenic diet, most people will experience a boost in cognitive function, an increase in energy, and a tremendous improvement in overall health. There is, however, one caveat to ketosis. It has some drawbacks. In order to adapt to carbohydrate restriction, the body goes through some significant changes — not all of them are positive. For example, ketones increase the acid load on the body, which increases protein requirements to help buffer the pH with the extra nitrogen that amino acids provide. This is why it is essential to make sure you are meeting your protein needs every day. If, for some reason, an individual’s acid buffer system is not operating correctly (which is relatively rare), then ketosis may throw their body into mild acidosis. For more on how acidosis affects the body, check out our article on ketoacidosis. Another important issue to be mindful of is how much fluids and minerals you will lose while you are in ketosis. Due to the mild diuretic effect that ketones have on the body, you will be at a higher risk for mild dehydration and keto flu symptoms while you are in ketosis. A simple solution to this problem is to make sure you are consuming plenty of water and minerals every day. You can find more specific recommendations for hydration and mineral repletion in this article on the keto flu and how to remedy it. Maintaining a state of ketosis causes issues for athletes as well. Anaerobic performance (e.g., weight lifting, sprinting, high-intensity interval training, etc.) is impaired when ketones are being used and glucose is limited. Even consuming exogenous ketone supplements like ketone salts and ketone esters can limit anaerobic performance due to the fact that ketones decrease glucose levels in the blood. Performance for endurance exercises that require high-intensity efforts like road race cycling can be impaired by ketosis as well. That being said, ketones seem to have a glycogen sparing effect (especially in keto-adapted individuals), which may counteract some of the decrease in performance that is caused by ketone burning. However, no research has confirmed this hypothesis. In other words, the current research suggests that ketosis impairs high-intensity exercise performance — and this happens regardless if the increase in ketones is caused by exogenous ketone supplementation or ketogenic dieting. On the other hand, ketosis seems to improve or have no effect on physical endurance at lower exercise intensities. If you train at high-intensities regularly and still want to experiment with ketosis, then there are some supplements you can take and strategies you can implement that may improve performance. For example, training in shorter bursts that last less than 15 seconds and supplementing with creatine and taurine can help counteract the negative effect that ketosis has on performance. To dive into this topic in greater detail, read through our comprehensive guide to bodybuilding on the ketogenic diet. Assuming that ketosis is achieved by using some form of carbohydrate restriction, the number of people who would benefit from ketosis vastly outweighs the number of people who should not go into ketosis. The clearest example of someone who shouldn’t be in ketosis on a regular basis is an athlete whose performance relies heavily on high-intensity bursts that last longer than 10-15 seconds. Others who might have a problem with ketosis are those who have genetic mutations that prevent them from burning ketones efficiently or impair their ability to buffer the acidity of ketones. Both of these issues can easily be found out by experimenting with ketogenic dieting for a couple of weeks while monitoring your health closely with the doctor. If you struggle to adapt to carbohydrate restriction after a month, then your body may need more carbs to function properly. It’s hard to find the actual statistics that reflect how many people have genetic mutations that indicate that they won’t do well with ketosis, but it seems that this is relatively rare. Anecdotally, most people do very well with the ketogenic diet and ketosis after they’ve given their bodies a couple of weeks to adapt to carbohydrate restriction. Studies on the long term and short term safety of the ketogenic diet have all found ketosis to be safe for most of the study subjects as well. Ketosis is a complex metabolic state that comes with many unique benefits. The healthiest way of achieving ketosis is through following the ketogenic diet. If you would like to get into ketosis even more quickly, then try implementing some of the recommendations in this article about how you can sprint your way to ketosis. On the other hand, If you still have some questions regarding the safety of keto and ketosis? Here is a link to an article that explores many common keto concerns. In general, ketosis is safe and beneficial for most people. It is one of the primary reasons why the ketogenic diet is so effective at improving a variety of different health conditions.